More moisture has sustained grass growth and quality into mid-summer at Trevallet Farm, near Launceston, in Cornwall. 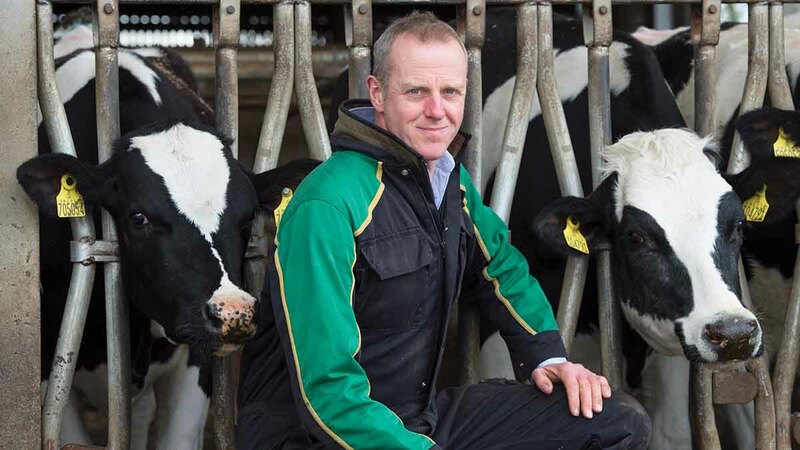 Good grass growth has allowed beef rearer and finisher Andrew Jones to maintain stocking rates across the 20 hectares (50 acres) of intensively managed cell grazing for longer than normal. He says: “Looking out in mid-August it looks like a spring flush out there – the grazing is lush and green. The moisture has certainly helped but cooler daytimes have had an impact on growth rate. As temperatures recovered in early August daily growth topped at about 130kg DM/ha – double that of the cooler period in late July. Intensive management of the cells has increased forage quality and production allowing more cattle to be carried on a per acre basis than set-stocked pasture. He says: “Regular testing across the 2016 grazing season highlighted an average ME of 11.6 versus 11.1 and average cover of 2,489kg DM/ha versus 2,185kg, respectively. This improvement has come through better utilisation of grass rather than out of a bag, he adds. The positive impact has allowed extra store cattle to be purchased over the early summer to replace mature cattle brought inside for finishing. Mr Jones says: “We deliberately have a mixture of ages and sizes in grazing groups to minimise disruption when drawing cattle as the season progresses. In-calf dairy heifers reared on contract are also benefiting from improved summer grazing. Rather than move onto an aftermath these will be housed to ensure growth rate and body condition do not deteriorate. But sunnier weather will be needed. Fodder beet got off to a shaky start due to the dry conditions around emergence allowing weeds to get ahead. The crop has been treated in late July with fungicide to counter rust and powdery mildew in the main. Average daily growth rates are slightly up by 3.39kg DM/ha, to 67.16kg DM/ha this week. Favourable growing conditions means grass growth rates are ahead of the 48.1kg DM/ha seen in August 2016. The variation in sward growth between AHDB Forage for Knowledge (F4K) contributor farms has continued to increase with an 82kg DM/ha difference noted between some farms. This can be linked to the bad weather seen throughout July, where some areas of the country experienced heavy rainfall, more than 35 per cent above normal monthly averages. The main objective of autumn grazing is to maximise the proportion of grazed grass in the animal’s diet, but producers must ensure there is adequate grass cover as the grazing season comes to a close. The aim is to finish the season with a grazing platform cover of 1,500kg DM/ha. Late-autumn grassland management largely determines the supply of grass available for grazing during the following spring and planning for the next grazing season should begin in autumn.